 Vista Blue Spa will be undergoing a major renovation and will be closed from March 15 – May 3, 2019. Spa treatments will be available on a limited basis in our luxury suites. Complimentary passes to the Monterey Sports Center will be offered to hotel guests looking for a daily workout. Complimentary shuttle service to and from the Sports Center will be available. Our new family-friendly Terrace, featuring two oversized hot tubs and lounge furniture, continues to be open daily from 9:00am – 9:00pm. During the closure, the nightly Resort Fee has been reduced to $18.00. Our state-of-the-art Vista Blue Spa is a sophisticated escape for our guests and locals alike. 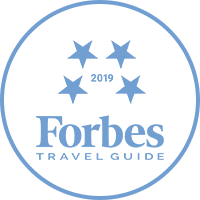 Located on the top floor of the hotel, with dramatic panoramic views from the sundeck, the breathtaking Monterey spa has been named one of Travel & Leisure’s TOP 25 Spas, and, for three years in a row, one of Conde Nast’s TOP 75 Hotel Spas in North America. The expert team at Vista Blue Spa facilitates every luxury service, providing a full range of treatments for rejuvenating the body, renewing the spirit and reviving the senses. With everything from massages to facials, and body wraps to “signature” treatments, guests are enriched by the finest in spa luxury. We invite you to make a day of your Monterey spa experience. Our outdoor sun deck, complete with fireplace, is the perfect place to enjoy a light spa lunch before or after your treatments. A soak in the tub takes on a new dimension: our two Vista Blue Spa bay-view whirlpool tubs are the perfect way to cap off a relaxing day of indulgence. Please phone and schedule an appointment ahead of time. Please arrive 30 minutes before your appointment time. 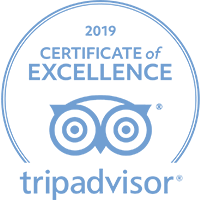 All areas of the spa, including the Spa sundeck, steam rooms, and lockers rooms, are exclusive for Vista Blue Spa guests who are at least 18 years of age. Minors between the ages of 13-17 may receive a limited selection of spa treatments provided an adult is present for the duration of the treatment. Children ages 12 and under are not permitted at the Spa. Childcare can be arranged through the Concierge at extension 5310.